It is that time of year again, time for our annual review of fishing rules and regulations. This is an ongoing process that involves many different folks on many different levels here at the Nebraska Game & Parks Commission. Typically, the October commission meeting is the one where changes in fishing rules and regulations are discussed. We do not have a lot of time to meet deadlines before that meeting, but we want to give our anglers and idea of things that are being discussed this year. . . .
On October 23, 2015, the Nebraska Game and Parks Commission will hold a public hearing in Fairbury, Nebraska and take testimony on proposed changes in Fisheries Regulations for 2016. Before we finalize our ideas into recommended changes in regulations, we want to collect input from our constituents regarding the initial ideas we had for regulation changes. Please mail or email me your opinions for each of the following suggested changes that matter to you by September 16. Especially tell me which ones you support and which ones you oppose. After we have completed this process in previous years, we have altered some of our initial suggested changes because of input we received. So, your opinion does matter to us! Thank you in advance. 003.01 MISSOURI RIVER – AREA OPEN: Delete language making it unlawful to use trammel nets in the Missouri River on the South Dakota side from the U.S. Hwy. 81 bridge at Yankton, South Dakota downstream to the Big Sioux River. Broader language making use of all commercial fishing illegal on the South Dakota side of that stretch of the Missouri River would be inserted. 003.01C RECIPROCAL AGREEMENT WITH SOUTH DAKOTA: Add this Section, stating it shall be unlawful to use any commercial fishing gear in the Missouri River on the South Dakota side from the U.S. Hwy 81 bridge at Yankton, South Dakota downstream to the Big Sioux River and in that portion of the Missouri River upstream from the boat ramp at Santee to the Nebraska-South Dakota state line. Add language making it unlawful to use hoop nets on the South Dakota side of that portion of the Missouri River upstream from the boat ramp at Santee to the Nebraska-South Dakota state line. These proposed revisions were made to clarify where South Dakota does not allow what gear to be used and were requested by the South Dakota Department of Game, Fish and Parks. 003.04 SPECIES: Delete yellow bullhead from the list of commercial fish. This species is uncommon in Nebraska. 003.08 SALE OF FISH: Delete requirements that fish caught under a Commercial Fishing Permit be sold for food purposes only and add language making commercial processing plants a place fish can be sold. These revisions would provide opportunity for commercial permittees to make use of abundant Asian carp in the Missouri River if a commercial processing plant is constructed. 006.03A BAG, POSSESSION AND LENGTH LIMITS: Change the section to state that length and daily bag limits apply to fish, bullfrogs, snapping turtles, or mussels in possession while on the water or fishing, not just when actively fishing. 006.03F BLACK BASS: Delete the following 37 State Recreation Areas (SRAs), Wildlife Management Areas (WMAs), and individual lakes and ponds from the list of water bodies with 21-inch minimum length limits on black bass (returning them to the statewide 15-inch minimum length limit): Heartwell Park Lake, Adams County; Tilden City Pond, Antelope County; Laing Lake, Box Butte County; David City Park Ponds, Butler County; Plattsmouth City Lake and Weeping Water Pond, Cass County; Sutton Clark Pond, Clay County; Ansley City Lake, Custer County; Crystal Cove Lake, Dakota County; Big Springs City Pond, Deuel County; Hooper City Lake and Johnson Park Lake, Dodge County; Oxford City Lake, Furnas County; Wolbach City Pond, Greely County; Cornhusker WMA Pond, Grand Island Eagle Scout Lake, and Grand Island Such’s Lake, Hall County; Tecumseh City Pond, Johnson County; Bethphage Pond, Kearney County; Humphrey Pond, Keith County; Merganser Lake, Lancaster County; Birdwood Lake WMA, Lincoln County; Skyview Lake and Ta-Ha-Zouka Park Pond, Madison County; Bader Memorial Park Pits, Central City Lake, and Silver Creek City Lake, Merrick County; Lincoln Park Pond, Nuckolls County; Pawnee Prairie WMA, Pawnee County; Sacramento-Wilcox WMA, Phelps County; Columbus Hospital Pond, Platte County; Barnett Park, Red Willow County; Memphis Lake SRA, Saunders County; Auble Pond, Valley County; Indian Creek Pond, Webster County; and Henderson Park and York Recharge Lake, York County. These revisions would allow more black bass to be harvested where black bass are not serving as effective predators on juvenile panfish and/or not producing larger bass. Add Bowling Lake, Bowman Lake, Fort Kearny SRA, Pawnee Lake SRA/WMA, Prairie Queen Recreation Area, Sandy Channel SRA, and Windmill SRA to the list of water bodies with 21-inch minimum length limits on black bass. These revisions would provide more protection from angler harvest where there is high fishing use and the potential to produce high-quality panfish populations or large bass. 006.03I WALLEYE, SAUGER, AND SAUGEYE: Delete Buffalo Creek Reservoir, Dawson, County; Calamus Reservoir SRA/WMA, Garfield/Loup Counties; and the following 22 waterbodies in Southeast Nebraska from the list of waterbodies where the daily bag limit on walleye, sauger, and saugeye may include one fish 15 inches through 18 inches and three over 18 inches or four over 18 inches, with no more than one fish 22 inches or greater in length: Glenn Cunningham Lake, Lawrence Youngsman Lake, and Standing Bear Lake, Douglas County; Lone Star Lake, Fillmore County; Big Indian 11A, Gage County; Holmes Lake, Olive Creek Lake SRA/WMA, Pawnee Reservoir SRA/WMA, Stagecoach Lake SRA/WMA; Wildwood Lake WMA, and Yankee Hill Lake WMA, Lancaster County; Skyview Lake, Madison County; Burchard Lake WMA and Iron Horse Trail Lake, Pawnee County; Willard Meyer Recreation Area, Saline County; Prairie Queen Recreation Area, Walnut Creek Reservoir, Wehrspann Reservoir, and Zorinsky Reservoir, Sarpy County; Czechland Lake, Lake Wanahoo SRA/WMA, and Red Cedar Lake, Saunders County; and Meadowlark Lake, Seward County. All of these water bodies except Calamus Reservoir SRA/WMA would return to the statewide 15-inch minimum length limit with no more than one fish over 22 inches allowed. Establish a daily bag limit on walleye, sauger, and saugeye at Calamus Reservoir SRA/WMA that may include no more than two fish 15 through 18 inches and two fish over 18 inches, with no more than one fish 22 inches or greater in length. These revisions would allow a more appropriate harvest on these waterbodies considering that habitat limitations and angling pressure make it unrealistic to establish high-quality walleye fisheries consistently producing large fish. 006.03M NORTHERN PIKE: Increase the daily bag limit on northern pike to ten at Lake Minatare, Scotts Bluff County. 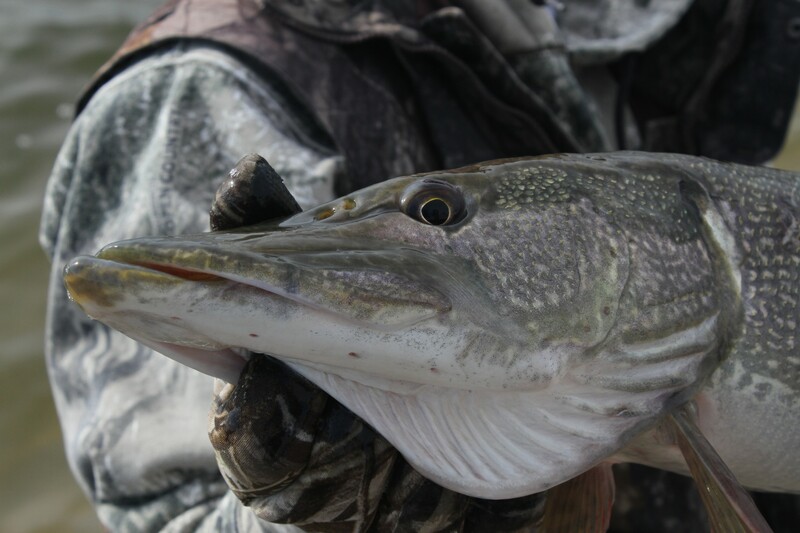 This revision would increase the opportunity for anglers to harvest abundant northern pike. 006.03U BLACK CRAPPIE, WHITE CRAPPIE, BUEGILL, YELLOW PERCH, ROCK BASS, GREEN SUNFISH, PUMPKINSEED SUNFISH, ORANGE-SPOTTED SUNFISH, AND REDEAR SUNFISH and their hybrids: Establish a daily bag limit of 15 for each species of panfish, as opposed to the statewide limit of 15 in the aggregate, in the border water shared with South Dakota (including Lewis and Clark Lake, Lake Yankton, and the Missouri River) to be consistent with South Dakota regulations. Additionally, South Dakota is reducing their daily bag limit on white bass to 15, which will make bag limits in border waters the same in both states for all species of fish. Establish a special 12-inch minimum length limit on yellow perch in recently-renovated Rat and Beaver Lake, Cherry County, to provide higher-quality perch fishing opportunities. 006.03V BULLHEADS: Delete the daily bag limit of five bullheads at Fremont, Louisville, and Two Rivers SRAs, as bullhead stocking is being discontinued at those areas. 006.03Y TRANSPORTATION AND POSSESSION: Make it unlawful to transport live black carp, silver carp, bighead carp, grass carp, and yellow bass away from the water body from which they were captured. Along with white perch (which are already illegal to transport live), these Aquatic Invasive Species all pose a high-level threat to aquatic resources in Nebraska. Make it unlawful to possess fish that are subject to a length limit with more than the gills, viscera, and scales removed while wading or on the water instead of while wading or engaged in fishing from any shore or boat. 006.04 ARCHERY FISHING: Add “and other areas as posted” for Commission areas closed to archery fishing in Section 006.04E. Move the archery paddlefish season from July to June, in conjunction with South Dakota, to enhance success, with a March application period instead of April. 006.07 SET LINES, LIMB LINES AND ICE FISHING: Change the definition of a jug line to a free-floating line that contains fishing hooks entirely supported by flotation. Jug lines remain illegal in Nebraska. Delete the separate definitions of set lines and limb lines, combine them, and define them as fishing line that contains up to five fishing hooks attached to a fixed object while fishing a river, stream, or canal. Make it unlawful to use set lines or limb lines within one-half mile of a pond, lake or reservoir inlet or outlet. Require set and limb lines to be checked every 24 hours, with unused lines removed. 006.10 BORDER WATERS: Allow anglers fishing border waters between South Dakota, Iowa, Missouri, and Nebraska to have only one daily bag limit of fish per day regardless of how many fishing permits they have. 006.13 AREAS WHERE IT IS UNLAWFUL TO POSSESS LIVE BAITFISH: Make it unlawful to have in possession or use live baitfish while on the waterbodies listed in Section 006.13 (not just while fishing). Add recently-rehabilitated Lake Helen (Dawson County) to the list of waters where it is illegal to possess live bait fish. 008.01: Apply the requirements in this section to waterbodies managed by the Commission, not just those owned or controlled by the Commission. Please send those opinions to me, Daryl Bauer. You can do that at daryl.bauer@nebraska.gov or mail a letter to Daryl Bauer, Nebraska Game & Parks Commission, 2200 N. 33rd, Lincoln, NE 68503.